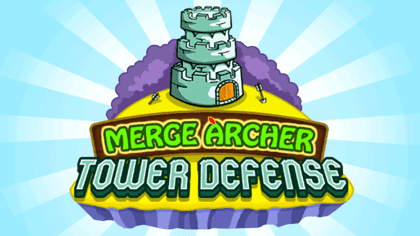 Here's some tips, mini-walkthrough and guide for the game Merge Archer Tower Defense. Learn which Heroes are best to use for Tower Defense early on, and how to progress faster by merging Heroes as quickly as possible, and upgrade them with best the options. - Earn EXP points by defeating enemies or by completing Daily Quests after Lvl 5. - This will give more fire power to your Archers, definitely upgrade as high as possible. - Increasing Speed would also mean that your Archers will die much faster, so upgrade this last once all other upgrades are high enough. - You can also use Speed Attack x2 items as an alternative if needed (more accurate too). - This will give more HP (similar) to your Archers, definitely upgrade as high as possible. - Defend your Tower early game with Lvl 3 Heroes, upgrade as you go and if needed. - It's ok to take some few damages at this point. - Coin Bags: Collect them all, no need to view ads for now. - Wisely use the limited space for merging heroes early on, continue and buy Heroes until you are able to unlock the Lvl 8 Hero. - You can buy lower Lvl Heroes from the Shop if you need to merge and upgrade one hero that is no longer given as free, or place them to the Tower to remove them from your merging space. - Note: Follow the pattern above to quickly unlock new Heroes. Do not use and keep your highest Hero to the left side then follow with 1 Lvl lower Heroes. Continue with this pattern as you go then once you are done, merge them all from right to left! - Once you unlocked your Lvl 8 Hero, merge your free Lvl 4 Heroes or buy Lvl 5 Heroes and replace your Lvl 3 Heroes (Tower). 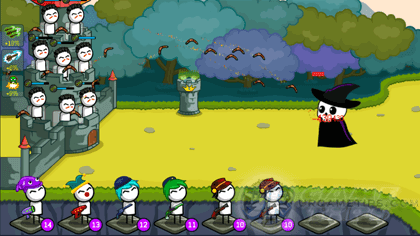 - Defend: Keep your Tower full with Lvl 5 Heroes or control and only use some of them early on. - Note: Only use your Coins to buy Lvl 5 Heroes from the Shop, and only use them for defending, this will help conserve your Coins for easy upgrades later on. - To upgrade your Tower fast and increase merging space, you need to reach certain Waves (first upgrade is at Wave 11 then every 5 waves after that), and a number of Coins. - Unlock New Heroes: Yes, the faster you unlock higher lvl Heroes, the higher the Coins that you can get from those Coin Bags! - Defend: Keep your Tower full with Lvl 5 Heroes, buy them from the Shop. - Note: Only use your Coins to buy Lvl 5 Heroes from the Shop, and only use them for defending, this will help conserve your Coins for easy upgrades. - Keep going and use your free heroes for merging into higher Heroes. 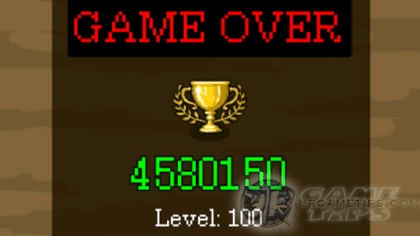 - Keep doing the same pattern until you unlock Lvl 15 Hero somewhere around before Wave 40. - Once done, keep going and create more Lvl 15 Heroes using your free Heroes! Goal #4: Defend the Tower! - Defend: Keep your Tower full with stronger Heroes depending on what Wave you are in, always buy them from the Shop. Replace weaker Heroes if you are having trouble defeating enemies. - Coin Bags: Collect them all (50k~100k Coins), I would also recommend viewing ads from here on to get 500k~1M Coins! Unless you want to keep your Dragon's free option (check the Coin Bag trick below for alternatives). - Note: Some ads will cause your game to crash though, so if you see that same ad that is causing it, use the "back option of your device" to skip the ad without restarting the game again, but some ads are ok.
- TIP: One way is to collect 100k and 75k without viewing ads, but view ads for 50k Coin Bags. - Dragon: Use the "Free Option" for as long as possible! Note: It will remain free as long that you don't view any ads that crashes... If it is no longer free, either view the ads and hope to get an AoE skill attack, just ignore, or use your Diamonds (best after hoarding a lot). Use the Spin or Spend Diamonds! - Use the Spin (view ads) for casual push, but if you want to reach a new personal record then also use your Diamonds or both. Note that you can earn free Diamonds by watching ads from the Shop. - If you are unlucky with your Coin Bags because of those ad crashes, you can try using the Spin and hope to get x2 or x4 Coins Gain for a limited time. Keep this active all the time if possible. - You can also use your Diamonds to buy Coin Multipliers from the Shop. 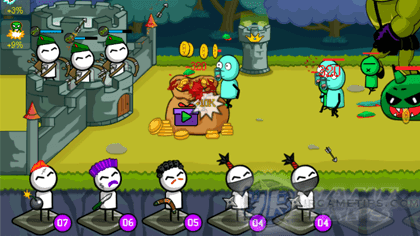 - Collect as many Coins as possible to help you buy stronger Heroes later on. - Hero Discount: Get this from spins or buy using Diamonds from the Shop. This is your best chance to buy Heroes while this is active, very useful once you need very strong heroes that is worth Millions. - Speed Attack: Really good if you are in a tight spot, can be obtained from Dragon spin or buy from the Shop using Diamonds. - This is really useful if you game is lagging and need to buy Heroes, transfer Heroes to your Tower, or to simply merge them. - Coin Bag Trick: If you pause the game, those Coin Bags would still keep on coming! So pause > claim > pause > repeat to get lots of Coins while those enemies are still far ~ lol. 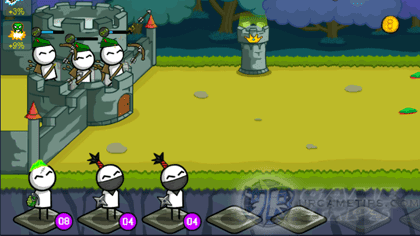 - Grind using minimal resources until you reach Lvl 20 or higher to get more upgrades for your Archers. 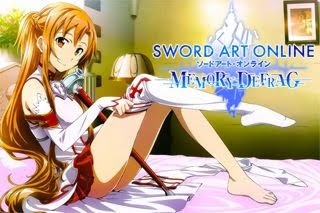 - Lvl 20 will also unlock Skills usage. - I recommend doing this first before using all of you resources like Diamonds, Items, and other one time use features. - You can buy Diamonds or earn them from watching ads or by completing achievements. - Use them all once you are ready.